PolicyLink is a national research and action institute advancing economic and social equity by lifting up what works. Arts and culture are key avenues of their investigations in promoting equity. 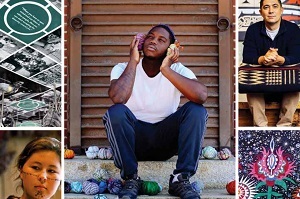 PolicyLink has pulled together “promising and proven practices that demonstrate equity-focused arts and culture policies, strategies, and tools.” Access Creating Change through Arts, Culture, and Equitable Development: A Policy and Practice Primer. 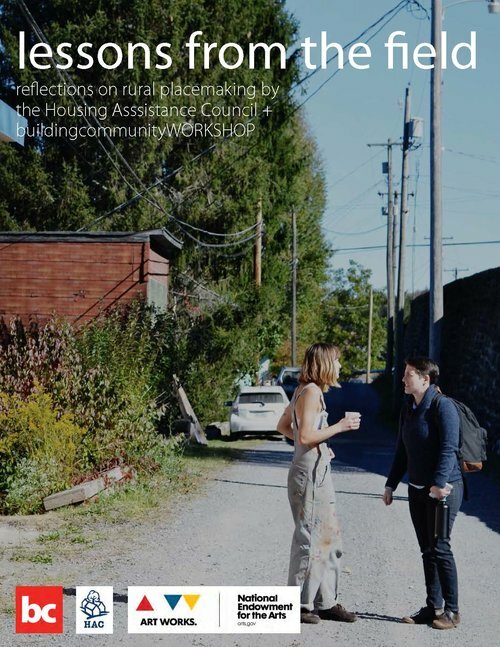 ArtPlace America (a 10 year creative placemaking initiative) commissioned field scans to better understand how arts and culture interacts with different sectors within community development. Read the summary blog on 6 Things That Arts Can Do for Housing. And, access the full housing field scan, Exploring the Ways Arts and Culture Intersects with Housing. NACEDA partner Americans for the Arts convened funders, evaluators, and practitioners of the arts to explore how to assess and report the impact of the arts. The exchange fostered shared understanding of values and goal frameworks, indicators and tools, and affirmed the need for iterative learning and experimentation. 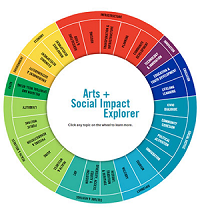 Read Cases & Point: Funder Exchange on Evaluating Arts & Social Impact. 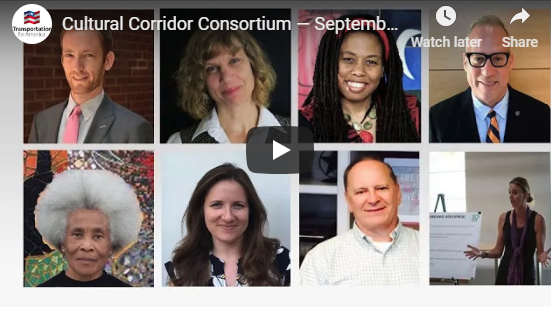 NACEDA highlights the power of networks, and activating engaged networks is vital to creative placemaking practice no less than other community development focuses. The Monitor Institute takes a funder's position to explore the necessity of networks and how to catalyze diverse actors to connect people, ideas, and resources. 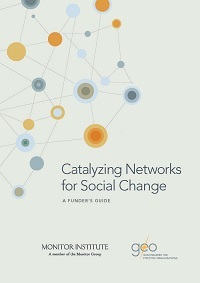 Read Catalyzing Networks for Social Change. Engaging arts and culture in community development can be a regional strategy as well as a hyperlocal one. Mass Inc and ArtSpace examine the benefits that creative placemaking can have for Massachusetts’ “Gateway Cities” -- regional economic drivers outside of the Greater Boston area. While focused on the Massachusetts context, the lessons can be generalized to other parts of the country. 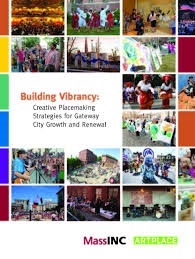 Read Building Vibrancy: Creative Placemaking Strategies for City Growth and Renewal. 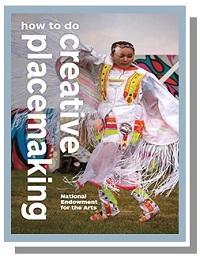 In the Creative Placemaking white paper, Ann Markusen and Anne Gadwan Nicodemus set the framework for Our Town, a funding initiative of the National Endowment for the Arts (NEA). After examining Our Town projects, Markusen and Nicodemus further explore the practice of creative placemaking -- collecting insights and best practices in Creative Placemaking: How to Do It Well.